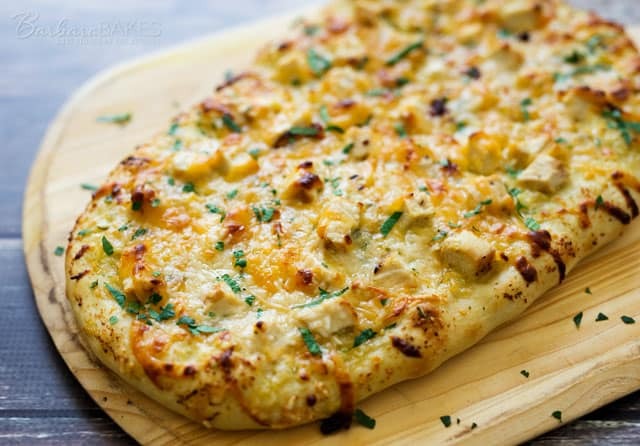 An easy-to-make flatbread topped with a flavorful lemon artichoke pesto, diced grilled chicken and smokey gouda cheese then baked until it’s golden brown and gooey, cheesy delicious. Today’s posted is sponsored by Red Star Yeast. 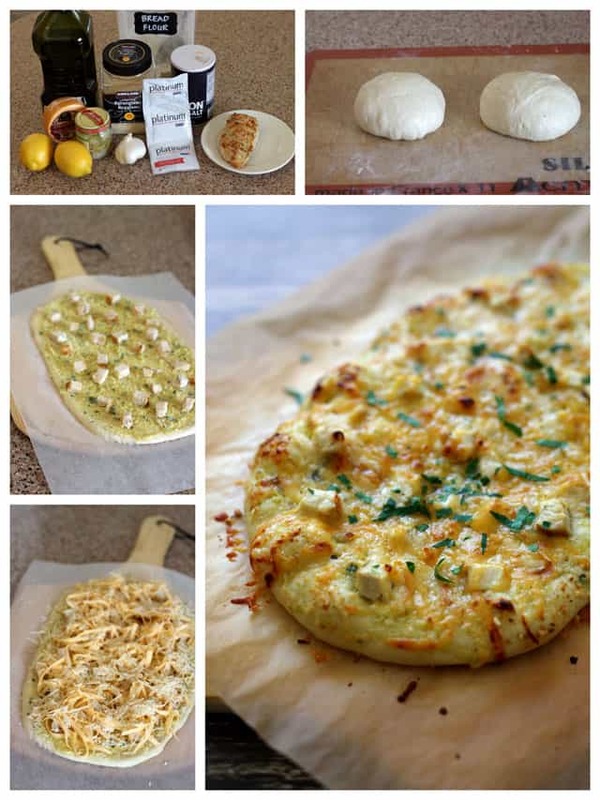 I created this fantastic Lemon Artichoke Pesto Chicken Flatbread recipe using their Platinum Yeast in the flatbread dough. 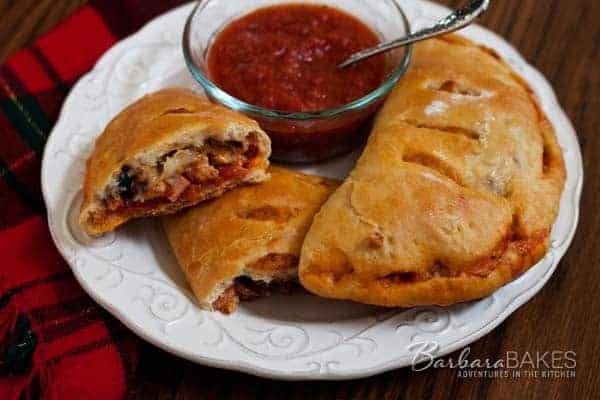 It’s a wonderful quick rise yeast with dough enhancers so your dough rises faster, higher and lighter. Flatbread can really be any shape, so this is a great recipe to try if you’ve been hesitant to bake with yeast. There’s a local restaurant, Blue Lemon, that makes a pesto chicken flatbread that I’m crazy about. Last time I was sharing it with my daughter, she said that since I liked it so much I should recreate it at home. When I was shopping for ingredients, I decided instead of using a traditional basil pesto, I would use the lemon artichoke pesto I posted with my zoodles recipe. It has a bright lemon flavor, with garlic, marinated artichoke hearts and Parmesan cheese. Using the lemon artichoke pesto was a great decision. I liked this flatbread even better. My family devoured it. It’s so flavorful. The smoked gouda cheese melts easily and the crust is crisp and golden on the bottom and edges yet still tender in the middle – flatbread perfection. You can serve this Lemon Artichoke Pesto Chicken Flatbread as an appetizer, or it would also make a great main course served with a salad. In a large mixing bowl, combine 1 1/2 cups flour, yeast, and salt. Add warm water and oil to flour mixture. Blend at low speed until moistened; beat 1 minute at medium speed. Switch to the dough hook and gradually mix in remaining flour to make a smooth dough, add more or less flour as necessary. Knead for 5 minutes. While dough is rising, preheat oven to 450° with a pizza stone on the center rack. Punch the dough down, and divide dough in to 2 pieces. Shape each piece into a ball. Let dough rest five minutes covered. 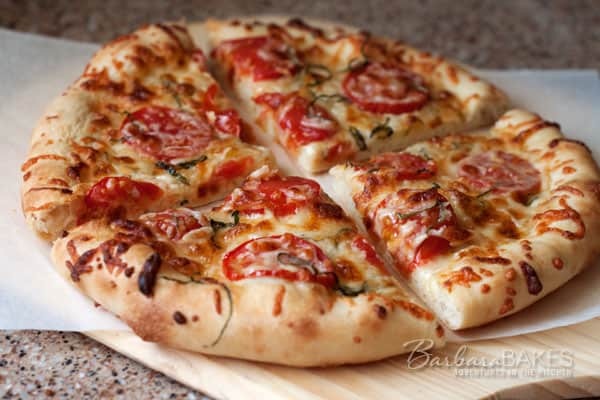 Use your hands to flatten each piece of dough in to large oval shape about 1/4 inch thick on a piece of parchment paper. Spread 3 tablespoons pesto on each oval. 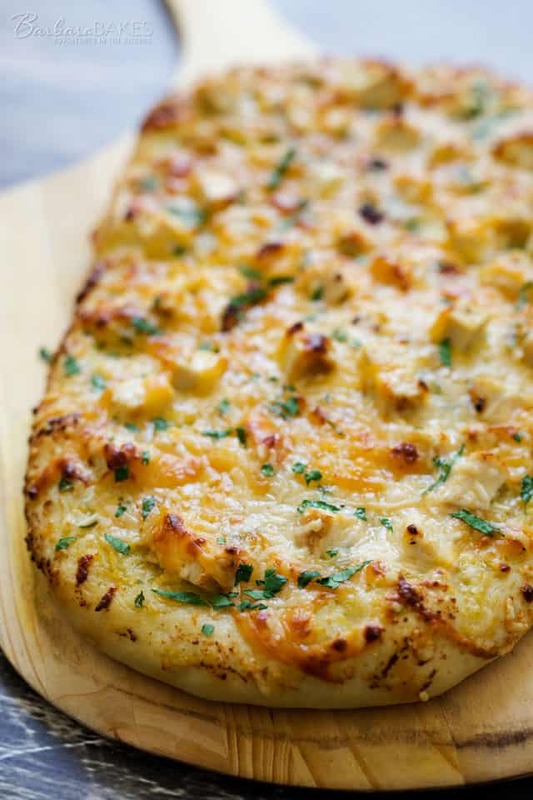 Top with chicken, gouda and Parmesan cheeses. Bake each flatbread on the pizza stone until the bottom is golden brown and the cheese is melted and starting to brown about 10 minutes. Garnish with fresh parsley when you remove the flatbread from the oven. Pulse all ingredients in a small food processor until well blended. The smoked gouda did not melt well and made the crust a bit too thick, but the lemon artichoke pesto was delicious. Please let me know what are my options for different kinds of cheeses that would work with this flat bread in this recipe.